Looking for advanced skincare treatments in East Nashville? Look no further than Ona Skincare. We offer an array of premium skincare treatments for men and women at our medical spa, including anti-aging treatments, acne treatments, and lift treatments, among others. If you’re interested in learning more about these services, feel free to reach out to our friendly and accommodating staff today. We also specialize in a variety of other advanced skincare services such as facials, body treatments, laser treatments, and micro-needling. Whether you’re looking for a way to pamper yourself or someone you love, we can help you find the best treatment for your goals. This anti-aging treatment helps smooth fine lines and get rid of that pesky peach fuzz. 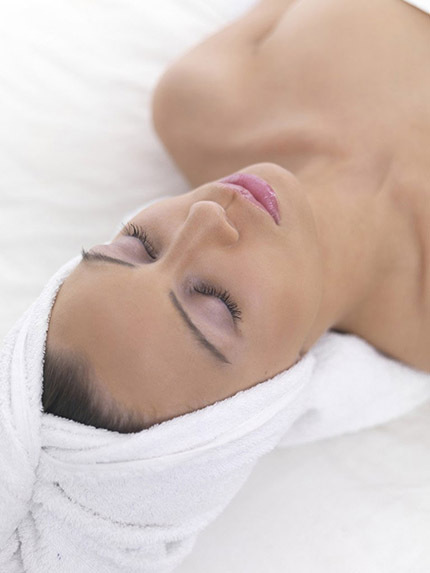 Great pre-event or photo shoot if peels or microdermabrasion are not for you. Includes a specialized serum and hydrating cream customized for your skin. Diamond Dermalinfusion technology is a completely unique, non-invasive skin perfecting procedure that has instant – and cumulative – results. A potent but gentle 30 minute treatment, Diamond Dermalinfusion requires absolutely no down time and is one of the few procedures in which skin shows immediate and noticeable improvement in volume, hydration, tone and texture. Learn more by, clicking here. Advanced anti-aging treatment, exfoliation with state of the art diamond tipped wand helps to reveal fresher more youthful skin. Great for fine lines and pigmentation. PRP uses the power of your own blood to stimulate collagen and increase skin health. It is a non-surgical procedure utilizing platelets from your own body that are filled with powerful growth factors. These growth factors activate the bodies healing ability and stimulate skin recovery and smoothing. This addition of PRP boosts the collagen production seen with micro-needling by approximately 800% for a powerful anti-aging treatment. A combination of dermaplaning combined with alpha and beta hydroxy acids in the red carpet peel will help with texture, pore size, fine lines, and acne. Completed with a heated hyaluronic mask for deep hydration. This is the ultimate pre- event treatment with no downtime. This mega-lightening treatment gently blends lactic acid and a cocktail of lightening and brightening agents to reduce sunspots and redness caused by rosacea. This ultra resurfacing glycolic and retinol treatment exfoliated dead surface cells, leaving skin firm and healthy. Visibly reduces the appearance of fine lines. After just one treatment you’ll know why Vitamin C is a must-have anti-aging ingredient. This rejuvenating treatment lightens, brightens and tightens the skin while soothing botanicals reduce redness and add vital hydration. Fine lines and wrinkles are plumped and smoothed for an instant transformation. This comprehensive treatment combines our revolutionary Tri-C Complex™ with correcting hydroxy acids, powerful peptides, stem cells, and a unique blend of intensely hydrating ingredients to treat Rosacea, dry/dehydrated, aging and sun damaged skin. This revolutionary stimulator peel stimulates cellular turnover, reducing fine lines and wrinkles and improving overall skin tone, texture and clarity without downtime! The Ossential Stimulator Peel uses a combination of three exfoliating ingredients- citric, glycolic and lactic acid to slough away dead skin cells and any superficial blemishes to reveal fresh, clearer skin underneath. It also stimulates cell turnover for continued improvement to the skin. This brightening treatment creates a radiant, more even skin tone and texture with citric, salicylic and lactic acids to increase skin brightness, clarity and minimize pore size. To further brighten the skin, the Ossential® Skin Brightening Sheet Masque, with arbutin and green tea, is applied to minimize the production of excess skin pigment and supply ample hydration to the tissue. CO2Lift is a state of the art carboxytherapy treatment that is clinically and effectively proven to Lift, Hydrate, & Rejuvenate your skin. The CO2Lift face mask improves the quality of your skin, giving you the optimal solution in anti-aging for your face and neck, giving you a more radiant look. With the improvement of blood circulation and the efficient discharge of waste from your skin, you will experience an overall brightness and radiance to your face and neck. In addition, those with freckles and brown spots will also experience improvement in lightness to their skin tone. The unique blend of ingredients in VI Peel produces powerful results with no pain and no skin preparation. The skin will look luminous and glowing. Hyper-pigmentation will be improved or gone, depending on the amount of damage. Tone and texture will be improved with an overall more youthful appearance. Read more here! This potent stimulating peel confers longer lasting benefits beyond the temporary superficial improvements that are seen with ordinary peels. An innovative, in-office treatment peel targeting melasma, acne, fine lines, rough texture, large pores and dullness, followed by an at-home treatment that produces longer lasting results than ordinary peels. Suitable for all skin types. Check out this article in OPRAH magazine! this article in OPRAH magazine! For frequently asked questions about Peels, click here.